The game started in ominous fashion, with Chelsea knocking intricate passes around, camped on the edge of the Saints box. Costa, Fabregas and Hazard all link up well together with Chelsea’s fans making a lot of noise, looking and sounding like a bunch of even less tuneful clones of Phil Collins. This is a theme for much of the match and Saints are not allowed to switch off for a second, particularly in the second half as Chelsea show why they are top of the league. However, we generally do a very good job of keeping the opposition at bay- the draw we ultimately get is a credit to the commitment of the Saints entire team, we really defended as a team. The defenders (all 11 of them do their share of defending) stand up and don’t dive in, Toby in particular outstandingly calm and composed. Credit is also due to young Targett and the sometimes maligned Yoshida, who did his best in an unfamiliar position against some of the world’s top talent. Yoshida’s discipline at right back was in some senses an asset today- what we lost in Clyne’s bursts forward meant that Chelsea were never able to expose his potentially being out of position. You’d never choose Yoshida ahead of Clyne for that position, but maybe today it was a net gain? We’ll never know. Although there were some hairy moments, we reached the 45 minute mark without Fraser Forster needing to make a save. So following a tricky opening exchange, after 12 minutes Saints get going. Mané’s persistence earns a corner and from it he has a looping header across that Fonte can’t quite reach. This gives Saints a boost as they grow into the game and go toe-to-toe with Chelsea for the rest of the half. 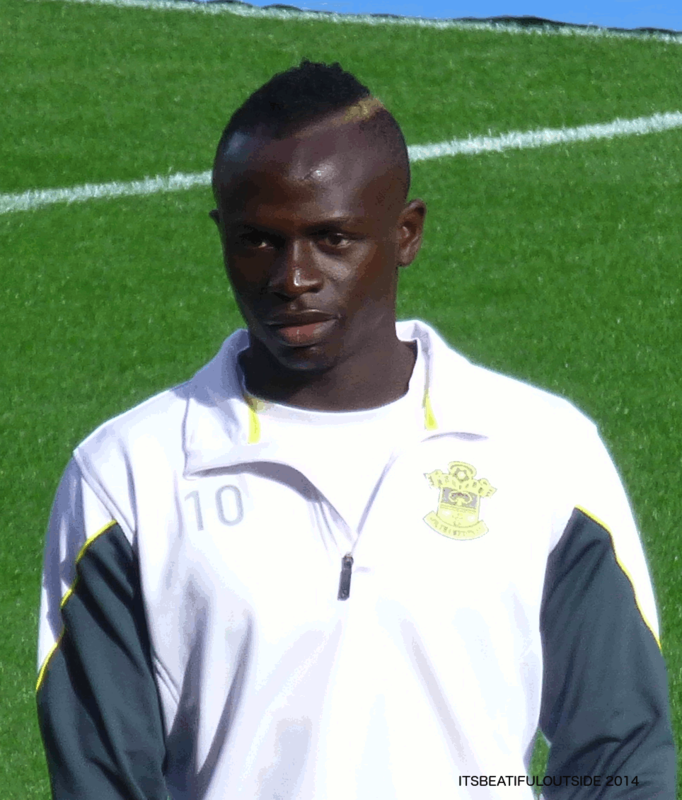 Mané is looking much more confident after his strong showing against Palace, causing lots of problems. It’s no surprise that it’s him that makes the breakthrough, as Targett’s pass is worked well by Pellè and Tadić to release Mané. He gets in front of Terry, takes the ball on brilliantly and has the finish to match, the kind of finish that maybe his critics doubted he had in him? He worked hard throughout, showing several nice touches including a terrific flick in one first half counter attack. Meanwhile Chelsea are not firing, but continue to look dangerous, it’s obvious they have it in them to score. Fabregas, Hazard and Felipe Luis all wriggle to the byline but cross inaccurately or find that a red shirt has read it well. All is going well until the added time board goes up and Fabregas finds Hazard who looks to be under the control of Yoshida, but a great piece of skill allows him to cut inside and also beat Alderweireld. As soon as he has a sight of goal there’s no doubt he’s going to find the corner. It’s a brilliant goal, from a brilliant player who was a real star in this match. After the sticky start, Saints could think themselves unlucky to be level at the break. They hadn’t exactly dominated but had matched Chelsea and until Hazard’s effort Saints had been more clinical with their well worked and taken goal. We were unfortunate that Chelsea’s goal came just at the time that Saints were looking most comfortable. The second half however was a different story as Chelsea took a complete stranglehold on the game. 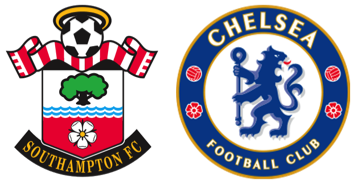 Saints found it hard to escape the pressure as Chelsea tried to pick a way through, a series of triangles on the edge of the box somehow repelled by the resolute defence. Saints’ counters normally ended with wasteful balls by Tadić until he was withdrawn, and we really struggled to retain possession. Koeman’s subs of Gardoş and Ward-Prowse scarcely did anything to stem the tide as Chelsea repeatedly peppered the goal. Koeman had said before the game that he wouldn’t park the bus, but had little choice as we were forced back. The high foul count partly reflects the fussy refereeing, but also the limpet like defending Saints put in. However, Chelsea never managed to get in behind us, their best chance coming when JWP played a sloppy back pass only for Costa to slip when through. The big discussion point after the game was of course the challenge by Targett on Fabregas that got Fabregas booked for diving. Having watched it back. I am surprised to read that quite a few IBO posters think that it wasn’t a penalty. To me it looks like it was a clear refereeing error, Targett taking away Fabregas’ legs with a rash challenge. We were on the lucky end of that decision, in what was generally an unpredictable set of decisions from Anthony Taylor. It was only the introduction of Long for Davis that allowed us to threaten, as he nearly got in behind a couple of times and finally allowed us some possession in their half. This was undermined by Schneiderlin’s un-Schneiderlin like tackle on Fabregas that got him a second yellow card. If the pressure had been bad before, now it became near-unbearable as balls fizzed across our goalmouth and a series of set pieces pinned us back for the final 5 minutes. The second loudest cheer of the day greeted the final whistle. Saints had dug in and deserved a point for effort and a good half hour in the first half. We probably didn’t deserve it on the balance of 90 minutes as Chelsea were so much on top in the second half it was ridiculous that they couldn’t score. Still, we ended our poor record against the top teams this season and continue our revival from the recent poor run. Having played every other team we are 4th, and that’s pretty amazing really.